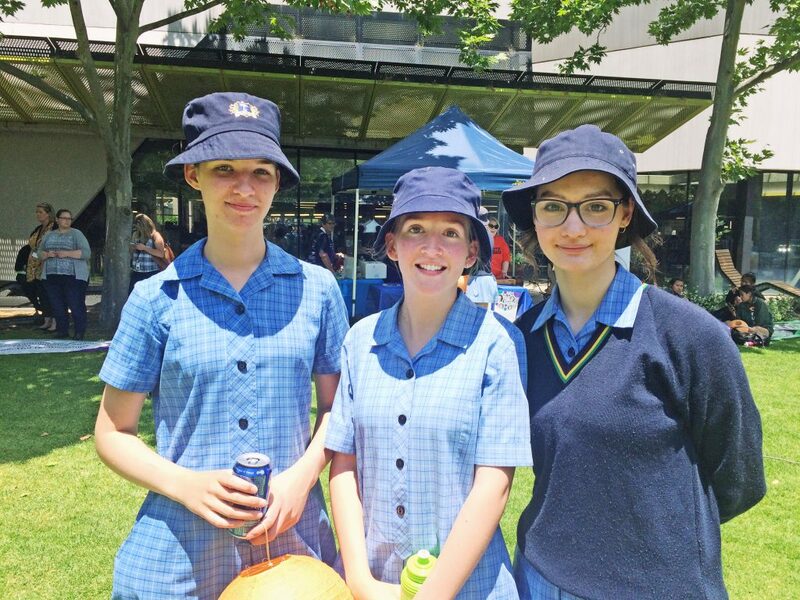 Students from Catherine McAuley College (CMC) supported the Greater Bendigo Against Family Violence Community Showcase in the Bendigo Library Gardens on Wednesday 28 November. 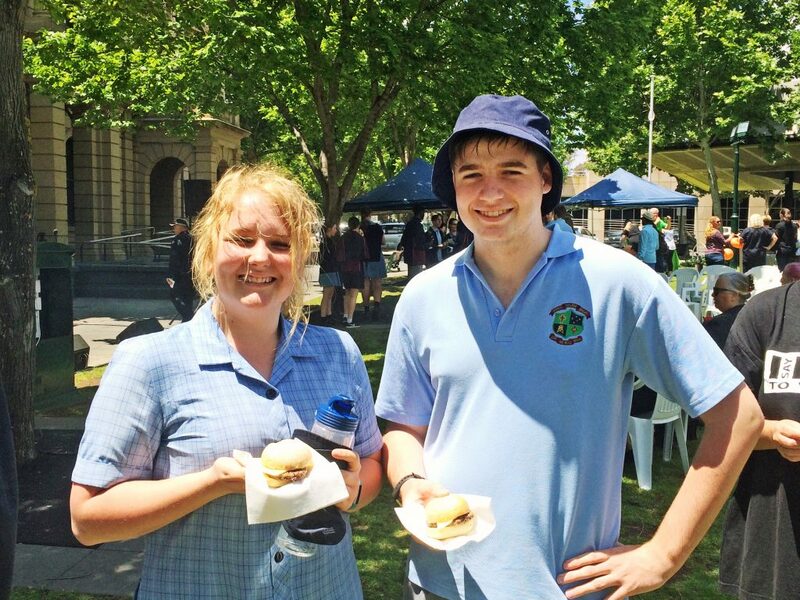 This event provided an opportunity for community members to come together, hear of the good work already being done, lend their support to the Walk Against Family Violence and pick up some useful information from the service providers. 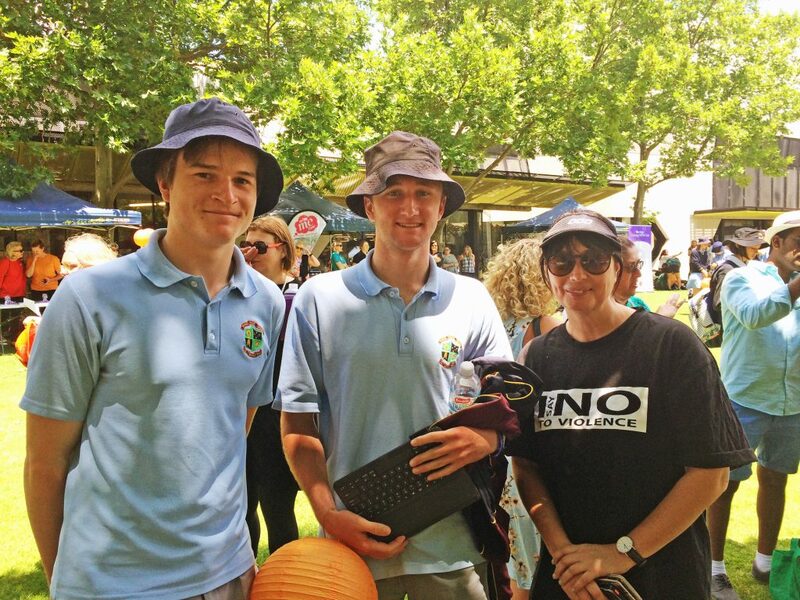 The event’s aims were to raise awareness of family violence and to build resilience within our community. 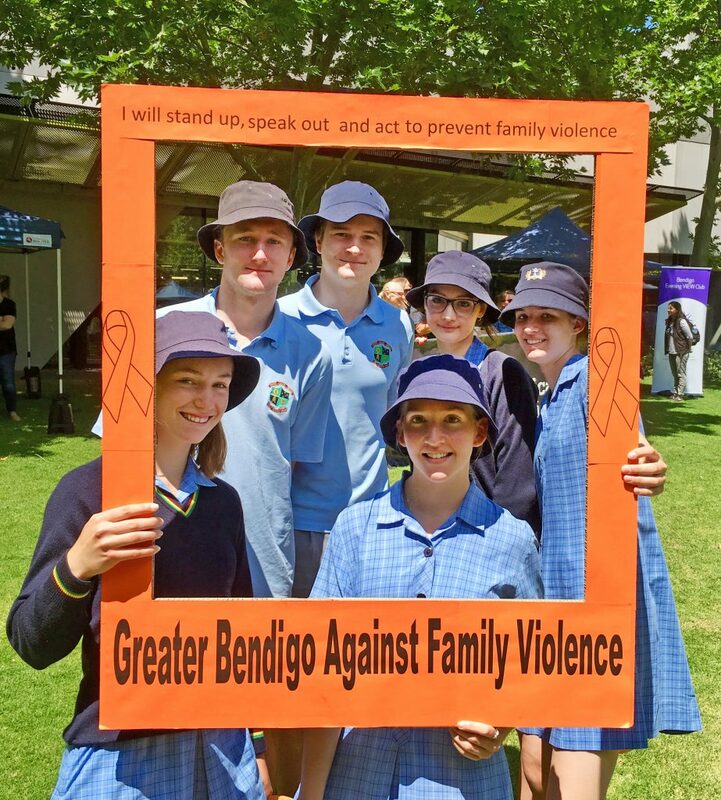 Students heard guest speakers from the CFA and local schools detailed some of the programs and initiatives already taking place in the family violence prevention area in Bendigo. 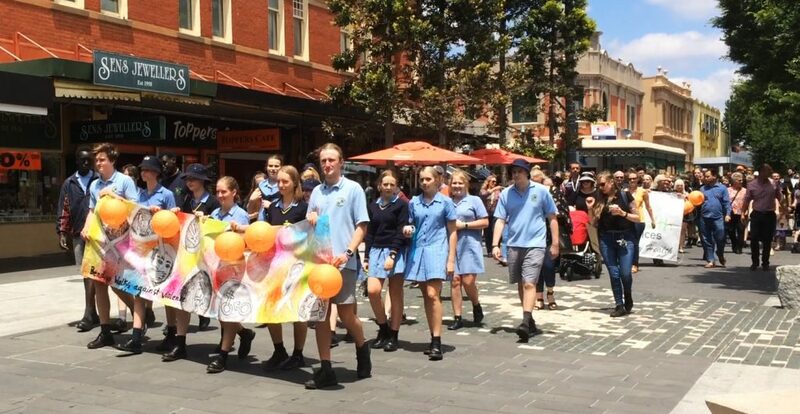 This was followed by the launch of the Education through Music Project, where a song by culturally diverse locals was performed. 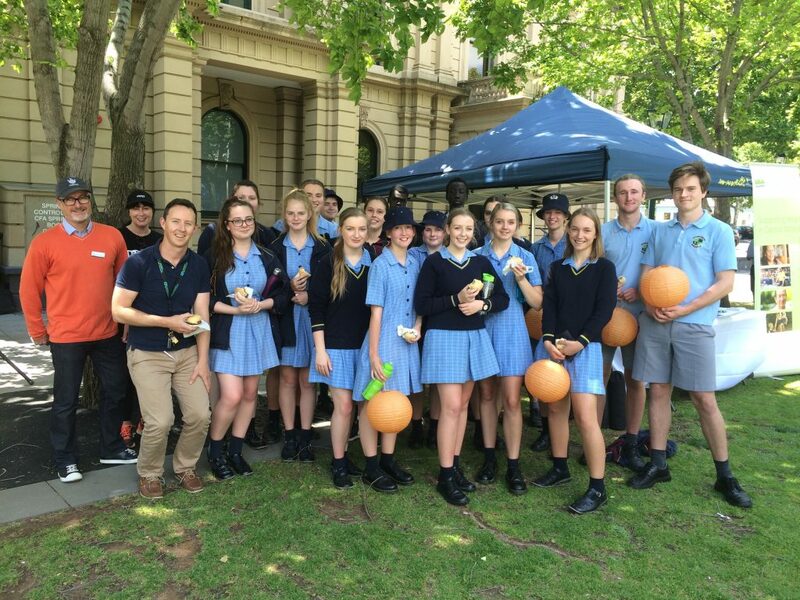 Our twenty students then had the honour of leading the Bendigo Walks against Family Violence community walk around the Central Business District. 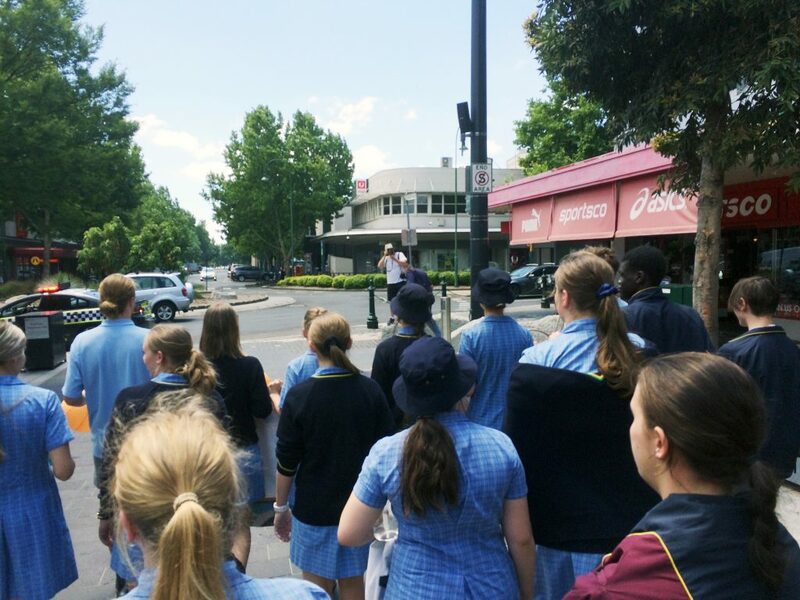 Following the walk there were opportunities for information gathering and learning more about local services. 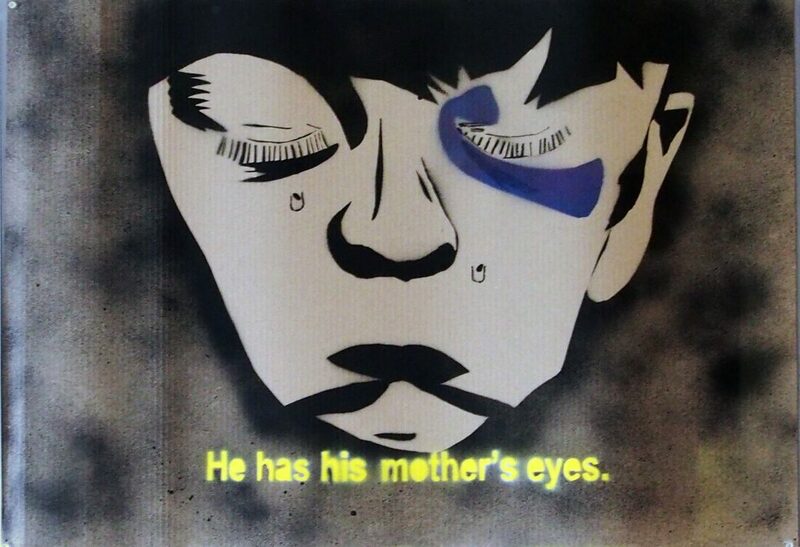 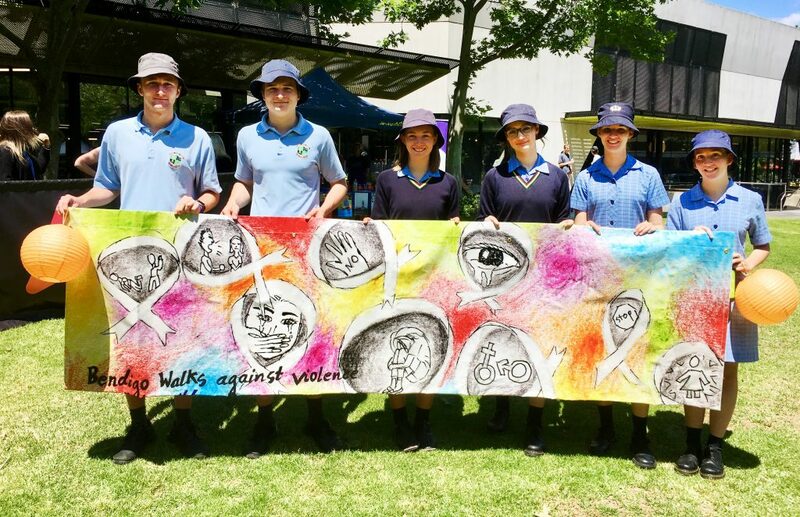 Through this walk, and art projects at school, our students have been challenged to take responsibility in preventing family violence, by challenging and changing unhealthy attitudes and behaviours within our community.